Add Punchmark's interactive Custom Design Center to your website. 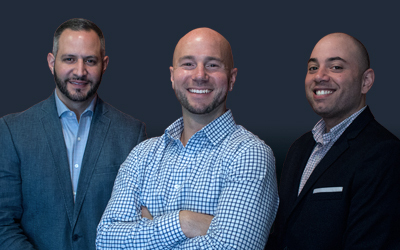 Punchmark's Custom Design Center allows you to collaborate with your customers on every design project, while they receive notifications and text messages through every step along the way. 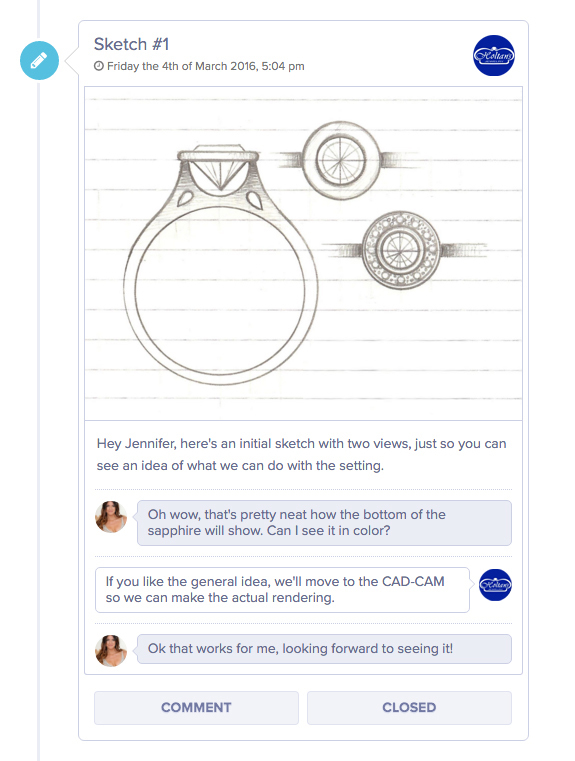 The Custom Design Center was developed to help you communicate with your customers during the jewelry design process. This process is laid out in a timeline format showing each milestone of the project as you build a custom piece of jewelry, while customers are notified via email or text message every step of the way. You can easily manage multiple design projects occurring at once, with a very transparent system of conducting business. Because every project is unique, you have the ability to fully customize the workflow on your project timeline. 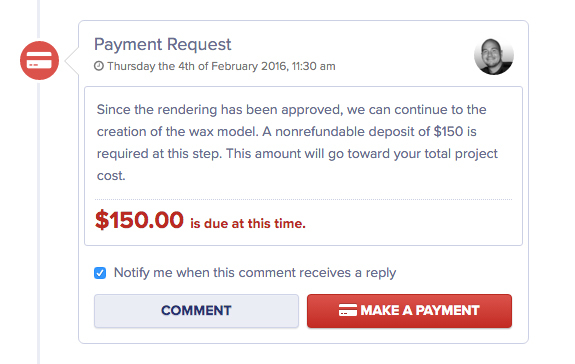 You can start at any point: the sketch, the rendering, the wax, the initial deposit, a payment request, or even just a general comment. Every event has the ability to require approval before proceeding. This helps you maintain a track record of every change, and gives you and your customer solid reference points that can be helpful for reaching certain project milestones. Being able to collect partial payments can be crucial to getting a high level of commitment from your customer. Once the piece is complete, you can request the final payment to be made, or you can simply have the customer come into the store to pick up their new piece of jewelry and make the final payment in person. If customers have made payments by check, in person, or over the phone, you can enter these payments at any time without actually processing them. If you add a photo gallery of your custom jewelry, you can link this gallery to your Custom Jewelry Design Center so that when you post your finished pieces, these images will automatically be added to the gallery. This custom slideshow will also be seen on your Custom Jewelry Design Center landing page so that people can see your work. Please let us know if you would like to link a current gallery, or if you would like to create a new one during setup. In order to take deposits and receive payments toward your design projects, you will need a merchant gateway account with authorize.net. Setting this up will give you the ability to take payments toward projects, which can be deposited directly into your bank account. You will need to contact your current credit card processor in order to add this service to your current processing system. To add the Custom Design Center to your website, there is a one-time setup fee of $350, plus a $20 per month service fee. The setup fee is wavied for Premium Website clients. To get started, you can visit the Upgrades & Add-Ons page in SiteManager, or call us at 704.910.4774.